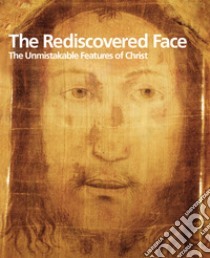 From the third century A.D. until the Renaissance, the face of Christ in western iconography assumed unique recognizable features. This appears to be linked to the “acheiropoieta” – images of the face of Christ with detailed features which Christ Himself apparently left us. The «Mandylion», in the East, was a cloth on which He apparently imprinted the image of His face in answer to a request from King Abgarus, King of Edessa. In the West, we have the veil with which Veronica is said to have wiped Jesus’ face on the way to Calvary. Literary and historical sources record an even more ancient portrait on cloth, named after the city in Cappadocia where it was found, «Kamouliana». Traditions surrounding these three images coincide surprisingly closely with those surrounding the Veil of Manoppello (a small town near Pescara, in the Abruzzi region of Italy). This extant portrait of Christ on a veil is of scientifically inexplicable origin despite significant experimental research into how it may have been created. This volume illustrates the stories behind these images, and how they weave in and out of history throughout the centuries.